“To think of Beirut, dream of Palestine, miss Baghdad, be reminded of the impossibility to be ever totally where one is.” – Etel Adnan, Lebanese-born poet and artist, from in 'In the Heart of the Heart of Another Country'. Etel Adnan's words come to mind as the Swedish Tarabband takes the stage at Cairo's El Sawy Culturewheel, on a soulful yet poignant journey that commences in Baghdad, stops by Gaza and Beirut, before returning back to Malmö. The Saz discourses with the violin, percussions nudge at the rhythms, the mandolin complements the bass and guitar; all in accompaniment to the Arabic lyrics molded into life by Nadin Al Khalidi, the band’s main vocalist and Saz player. Formed in 2008, Tarabband, a word game on Tarab and band, is a six-member band composed of Al Khalidi and five other musicians from Malmö, Sweden. It is a cross-cultural attempt at creating Tarab (defined on the band's official website as "ecstasy through music") steeped in Western melodies. 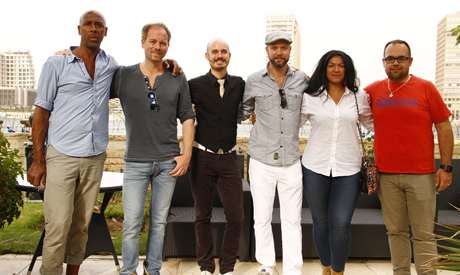 The band was nominated and awarded the "Tradition Bearer" and "Best Crossover" at the 2014 Swedish World Music Awards. 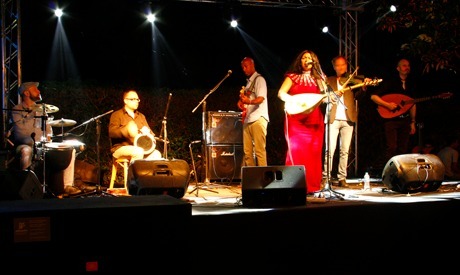 Tarabband shared their music born on the band's amalgam of cultures at the El Sawy Culturewheel on 4 June, before moving to Cairo Jazz Club on 9 June and Bibliotheca Alexandrina on 10 June. 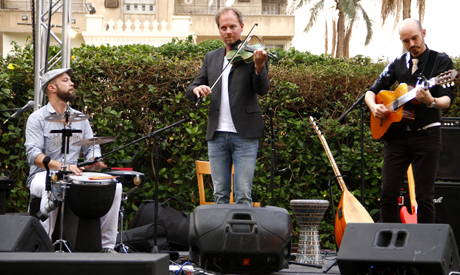 Hermansson, who studied the bouzouki at Malmö Conservatory of Music, says the band played traditional Arabic songs by the Rahbani Brothers and Mohamed Abdelwahab at first, before writing and composing their own music. 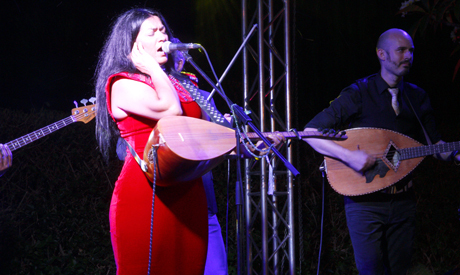 “Our music is not 100 percent Arabic, Western or Scandinavian”, Al Khalidi tells Ahram Online. “We never had any kind of rules. I sing in Arabic and of course we keep the oriental spirit in the music but its also everybody’s contribution or experience to this sound,” she adds. In La Danse du Chameau (Camel Dance) for example, the drums and violin find prominence as ongoing western tunes unfold, accompanied by different kinds of oriental drums such as darbuka, daff and riq. For Valter Kinbom, one of Tarabband’s two percussionists and also a percussion-instrument maker, it is inspiring to be part of a band where this blend happens. The same applies to Filip Runesson, Tarabband’s violinist, who believes this blend is also facilitated by his experience in Bulgarian, Turkish and Greek music, which he adds are similar to Arabic music. “It makes it easier for me to connect to the Arabic music more than if I had only played western classical music or Swedish folk music; and from there I blend this music with my own ideas,” Runesson, who studied at Malmö music high school, explains. While fusion is the band’s hallmark, it is most evident in their chef d’oeuvre, Baghdad Choby, which takes a traditional Iraqi rhythm known as choby and integrates a western melody to it. Hermansson’s suggestion to add the choby rhythm, inspired Al Khalidi as she visualised the song to represent a meeting that unfolds on the dance floor in Sweden and takes one all the way to Iraq. “Tarabband is Tarabband because it does this mix,” Romain Coutama, the band’s bass player says. For Coutama who studied music at the Institute for Artistic and Cultural Perception in Paris, there exists the freedom that allows each member to embed his own experience into the music. “I never played Arabic music before. And I feel free to play the bass as I want to. In that way Tarabband becomes a mix of all our musical experiences,” he concludes. At the heart of Tarabband’s splendid amalgam of sounds, there are many poignant stories. Born to an Iraqi father and Egyptian mother, Al Khalidi studied classical violin at the Music and Ballet School in Baghdad before moving with her family to Egypt after the second Gulf War in 1991. She moved back to Iraq in 1998, and in 2002 she was living in an apartment in downtown Baghdad. “You get involved [in the state of war] without being actually involved. You are born into a family that’s interacting everyday with war, and bombs, yet also with music and creativity,” Al Khalidi says of her background. She fled to Sweden as a refugee in 2002 where she sought asylum and played western music in pubs. Besides being inspired by idols like Bob Dylan and the Beatles, she was especially influenced by American musician and political activist Joan Baez. 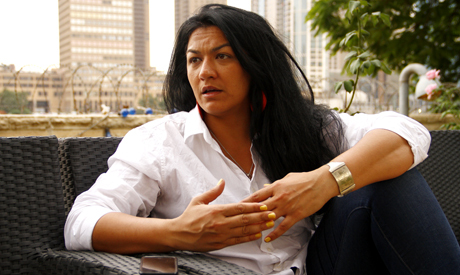 In Sweden, Al Khalidi would discover her passion for Arabic music- making arrangements of the traditional songs in addition to working in theatre. Meeting Hermansson in a Swedish-Arabic theatre project, they decided to found a band. The other members joined one by one. Not only Al Khalidi shares her poignant stories in the band, but she also abides by what she sees as a responsibility to promote a genuine and honest cross-cultural conversation. In Tarabband’s debut album ‘Ya Sidi’, these ideas come to life as Al Khalidi incorporates personal experiences of an Arab into the music. For example, she opens the song Yasmin with a zaghroota (ululation). The song is dedicated to a Gazan girl killed during one of Israel’s assaults and tells the story of her father looking into the rubble to find only one body part of hers remaining. In Fellu (They Left), Al Khalidi shares another experience from her trip to Lebanon five years ago. “Nobody claims these houses anymore,” she adds. Ashofak Baaden (I Will See You Later) chronicles a more contemporary form of agony. It tells the story of an Iraqi couple who had shared their photo together days before ISIS invaded northern Iraq and their fate became unknown. The photo became the last documented memory of their story. The poignant lyrics talk of a temporary parting which will come to a halt until the couple reunites by Dijla (the Tigris). And while unveiling the unknown stories, the personal blends with political, as it is the case in Zafat Jailan, a song in Tarabband's new album. Al Khalidi says that the song tells the story of a 17-year-old beautiful Kurdish girl who was amongst those who had volunteered to fight ISIS. With only one bullet remaining, and not knowing what ugly fate awaited her, she decided to shoot herself.